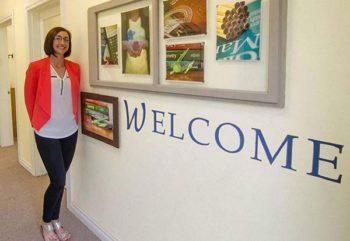 Looking for a Dyslexia Tutor in Vancouver WA? Dyslexia makes learning tough. Students learning to manage their dyslexia not only have to comprehend coursework material like other students, but have the added challenge of second-guessing themselves when processing written notes too. As classes become more difficult, Dyslexia can lower a student’s self-esteem, and they may become frustrated when they wonder if they’re misinterpreting directions. At Gold Star Tutoring, we do our best to provide tutoring services that will truly help these students learn to the best of their ability. That’s why we have a trained dyslexia tutor in Vancouver WA with a thorough understanding of the Orton-Gillingham method to give extra help for these students so they can spend less time on instructions and more time on coursework. What is the Orton-Gillingham Approach?First developed in the mid-1900s by Samuel T Orton and Anna Gillingham, the Orton-Gillingham approach is a multisensory method of learning specifically designed for students with language processing problems such as Dyslexia or Dysgraphia. This approach focuses on the connection between symbols and sounds as well as syntactic and semantic aspects of language and builds upon itself so students can understand progressively more complex texts. 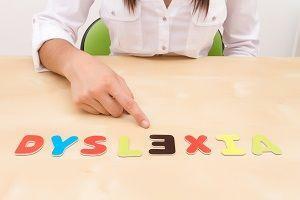 While commonly associated with reading, Dyslexia can make learning in other areas harder too. With tutors in reading, science, math and history and more, our team works together to provide the best possible learning environment. Dyslexia affects math too. It can make it hard for a student to understand what a math problem is asking, even if they understand all the fundamentals. Dysgraphia, the difficulty of writing words and symbols, often comes hand-in-hand with Dyslexia, making self-expression complicated. A student with Dyslexia may struggle with proper tongue placement when saying certain sounds. We can help correct minor speech impairments throughout our lessons! We want to do our best for each student. With tutors specializing in different areas, our open communication means a tutor has a nearby expert available to help answer difficult questions. So whether you want a student to try out the Orton-Gillingham Approach or help with any subject, our private tutors are happy to help! We keep up-to-date on teaching methods and best practices to give each student the best tutoring experience possible!